What do we love more than a smile makeover? Trick question; the answer is nothing! When we see one of our patients flash a confident smile for the first time in years (or maybe their entire life) it validates why we do what we do everyday. Porcelain veneers are the best tool we have in our arsenal for a transformative smile makeover. Porcelain veneers are basically “shells” of medical-grade ceramic that are attached to the surface of your tooth. They are used to correct a number of dental concerns, such as chips, cracks, discoloration, gaps, and minor alignment issues. 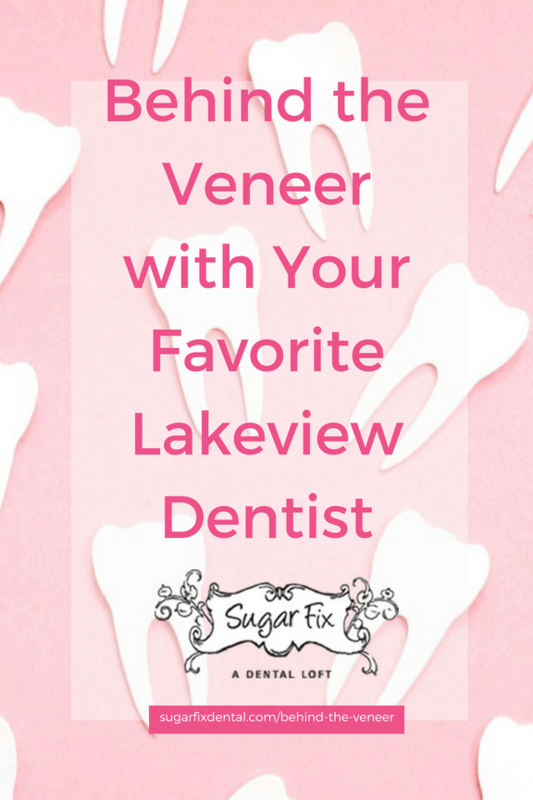 Porcelain veneers are permanent, meaning you’ll have them for life. They’re completely natural, and they’re crafted to match the rest of your teeth perfectly so no one will ever know you have them. Step one is the consultation. We’ll bring you in and have an hour long conversation about what you’d like to change about your smile, and we take lots of photos so we can start planning. After the appointment, my team and I will go over the photos and create a temporary solution in the lab that we think will be the best solution to address your specific trouble spots. Step two is the trial smile. You’ll come back to Sugar Fix Dental Loft and we’ll fit you with the “temporary smile“ that we created for you. You can wear this as you go about your day and get feedback from your friends and family. We want to hear how you feel wearing it and if there are any adjustments that need to be made before we create your permanent porcelain veneers. Step three is the final porcelain veneers. They will look so natural and beautiful, we know you’ll be amazed. We love taking patients around the office so they can see their new smile in all kinds of different lighting. This is a special event and we love to celebrate accordingly! If you’d like to take a look at some of the trial smiles we’ve created for our patients, you can check out our Instagram gallery at @sfdltrialsmiles. Each photo on this page represents a real person who is able to express themselves more confidently through the magic of porcelain veneers. If you want to see your new smile on this page, schedule a consultation with us at our Lakeview dental loft.